First Choice Holiday Villages have been providing the ultimate all-inclusive holidays to customers for 15 years. For 2019, there are two new resorts on the map – the return of Holiday Village Tunisia and the new Holiday Village Lanzarote. 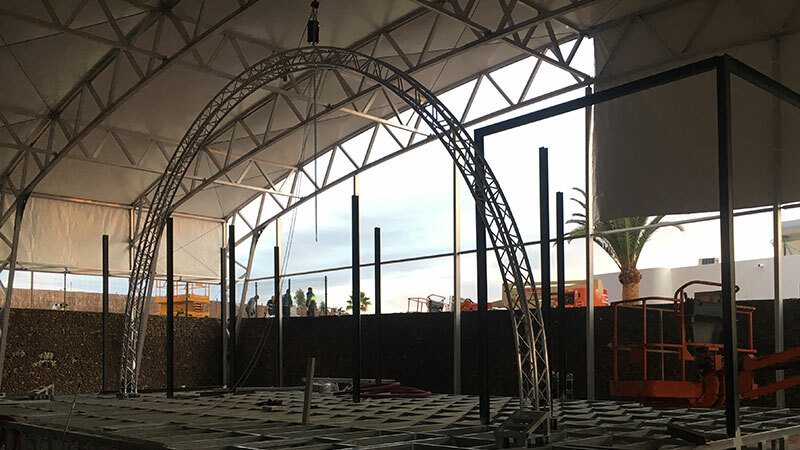 As trusted partners, we were honoured to be contracted to install a concept stage at the new Lanzarote resort in early 2019, that will drive the brand forward and become the focal point for evening entertainment. Being a concept design, the tedav team were tasked with providing a unique solution that would take the entertainment offering to the next level. 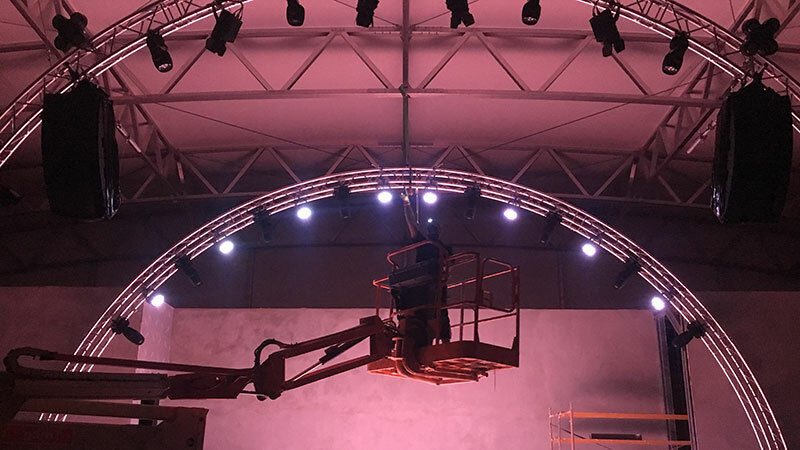 Our in-house experts listened to the client requirements and needs before designing what they thought was the very best audio-visual solution, which included two circular truss sections. Fast forward three weeks, and the project was complete, ahead of schedule and on budget. The management of the project by Head of AV Matt Spence and Project Manager Dez Leather, along with the wider team in our AV department, provided quick and effective solutions to the logistical challenges. And by building a good working relationship with the hotelier and implementation team, the project was delivered two days early, along with 2,500 metres of cable, 26m diameter of circle truss and 34 intelligent lighting fixtures. On to the next stage of the project; which is the installation of an LED screen and a bespoke VR system for summer 2019, ensuring our valued client First Choice remain industry-leading.